Forests are crucially important to climate change. According to the Food and Agriculture Organisation (FAO), “they have the potential to absorb about one-tenth of global carbon emissionsprojected for the first half of this century into their biomass, soils and products and store them - in principle in perpetuity”. The agreement between the two governments specifically recognized that “Sustainable, low-carbon development is essential if global warming is to not increase by more than 2°C above pre-industrial levels. Given the significant contribution of emissions from deforestation and forest degradation to climate change, and the real risk of increased pressure on forests in currently low-deforesting countries as rates in currently high-deforesting countries are decreased, the Participants consider it crucial that all tropical forest countries, both high - and low- deforesting countries, are given incentives to reduce and avoid emissions from deforestation and forest degradation”. The present agreement between the two governments will end this year. No doubt both Norway and Guyana will be considering ways of keeping the agreement – or elements of it - in place. 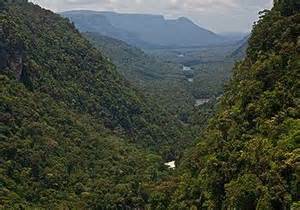 To be fair to Norway, it has reaped no gain for itself alone; the benefits of the agreement have redounded to the world as the Guyana forests absorb and trap CO2 emissions from polluters elsewhere. Of course, the preservation of the forests has also stopped even more CO2 from being released into the world’s atmosphere. Significantly, in the agreement the two countries had envisaged encouraging “other developed countries to contribute to the Fund as part of their efforts to combat climate change”. It is now evident that the idea of “carbon trading” between high emitting and low emitting countries was nothing more than a sop to environmentalists and developing countries. The failure to realise “carbon trading” gives greater strength to the call for a tax on the carbon emitted by companies worldwide with exemptions for those in countries whose emissions are very low. The Norway-Guyana model is not perfect, nor was it expected to be, but it exists and does provide a framework for other such agreements. There are lessons that can be learned from it in establishing North-South co-operation to maintain and rebuild forests that are precious to the well-being of the planet.